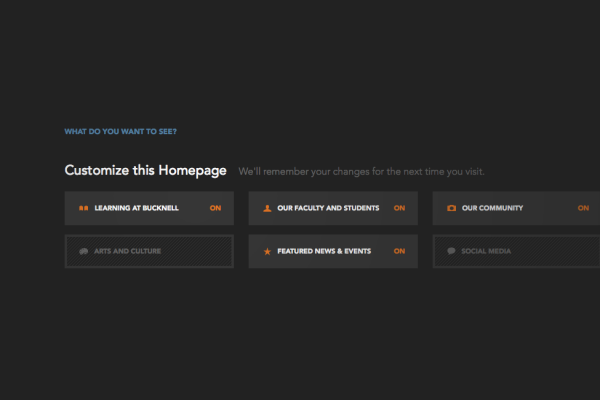 Bucknell University sought a radical departure from the conventions typically experienced in the higher education website experience. Why? They recognized that by taking risks with how users experience the university online, they will send the message that they welcome students, faculty and staff who aren't satisfied with the status quo. 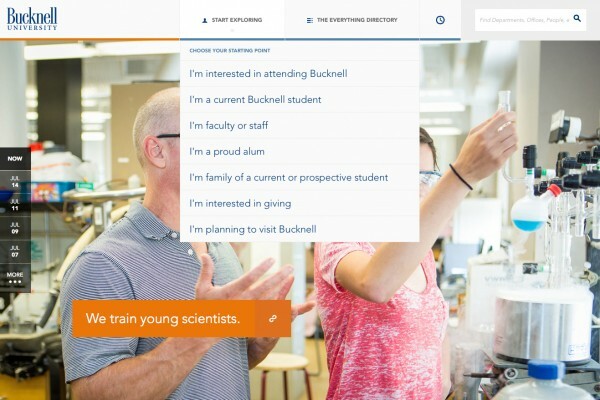 Bucknell University was seeking a partnership to push them out of the conventional higher ed website approach and deliver something inventive and new. We wanted to challenge the notion of how a user explored a site during various stages of a visit or from different audience perspectives. We also wanted to provide new mechanisms for usability and for presenting content. 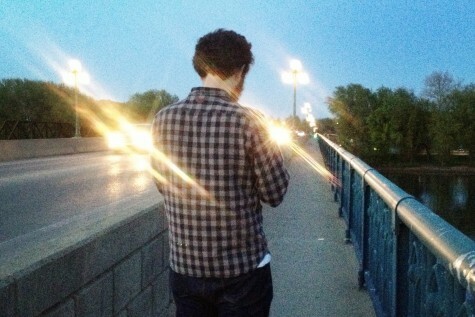 We were happy to accept the challenge, and welcomed the collaborative exploration and journey. One of the most pivotal aspects of the project involved crafting a new approach to the site navigation, based exclusively on a user's needs. We wanted the site to have a conversation with each user based on who they were, and what kind of emotional state they might be in. Additionally we knew the act of searching and sorting was a common way many users navigated websites, and additional opportunities were crafted to meet those specific usability requirements. As a user explores the immersive home page experience, they are invited to customize the content the site delivers to them, through a home page admin panel. We wanted to acknowledge that many visitors had specific content interests and would appreciate having a more curated experience. Additionally, the site allows users to "bookmark" frequently visited pages for easy revisiting. These concepts are ones many users are expecting with the prevalence of apps on devices that seek to provide a personalized experience to a user. The entire concept around the site was to promote the uniqueness of the visitor, ensuring the site was built to suit their individual needs, rather than forcing them to select funnels or dig through content that was intended for a general audience. While we love doing innovative, creative and strategic work with our clients, we don't truly celebrate until we know the work has done its work. We were thrilled to see Bucknell have a record breaking year for applications following the new site launch. "Bucknell University dared prospective students to rise to the challenge, and they did — applying in record numbers for admission to the Class of 2019. As of Jan. 27, the University had recorded 10,925 applications, marking an all-time high in Bucknell's 169-year history. The milestone represents a nearly 39-percent increase over last year's number of applications and exceeds the previous record set in 2006 by more than 1,800." According to Dean of Admissions Robert Springall, the proportional growth of the applicant pool increases the University's ability to shape a talented and diverse class of students... "The admissions staff did a great job in building relationships with high schools and community partners, enhancing open houses and conveying the value of a Bucknell education to thousands of campus visitors," said Springall. 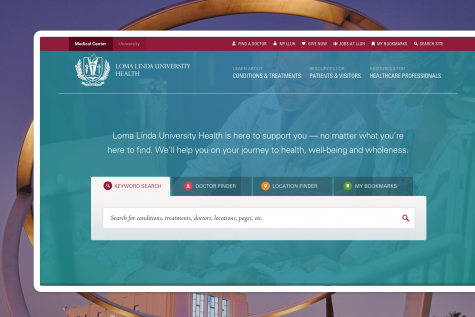 The University also refined its recruitment communications with edgier and more personalized messaging and launched a new website with a responsive design easily navigable on mobile devices." You can read more about the results on Bucknell's website here. Working with the team from Fastspot means that you have a clever, creative and collaborative team on your side. 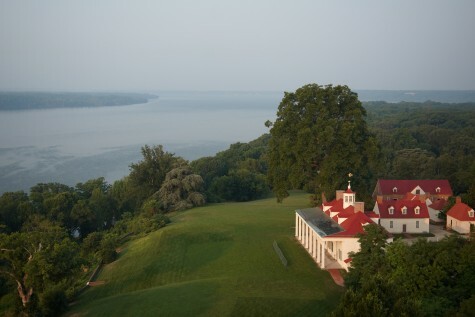 They were receptive to ideas, cost-conscious with our budget, and enthusiastic about the projects we engaged them for. We look forward to a continued partnership with Fastspot. 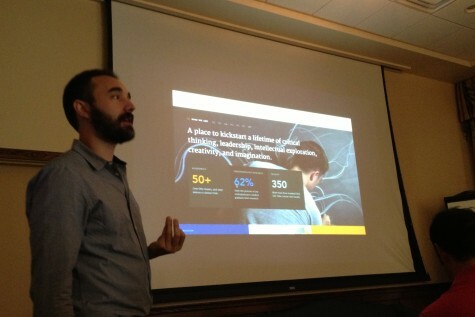 Curt presenting designs to Bucknell. If You're Not Innovating in Interactive Design, You're Sinking.